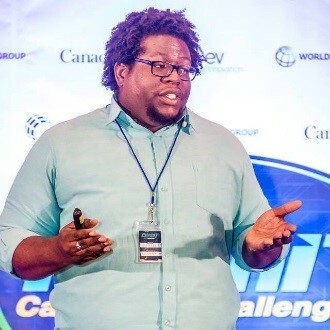 Keron Bascombe is the founder of Tech4Agri, a company that provides information that relates to technology, innovation, and success in agriculture. Tech4Agri targets youth ages 15-39 with the goal of empowering and motivating them in the field of agriculture. Keron has previously worked as a Social Reporting Trainer for the Technical Center for Agriculture and Rural Cooperation (CTA). He holds a Bachelor’s Degree in Agribusiness from the University of the West Indies.